I love nightshift... said no one ever! JK I have a few friends that love nightshift; I wish I did! For me, it has been a struggle! I love the pace, the atmosphere, the people, my job, but I just can't stand the zombie feeling on my days off when all I want to do is sleep! I did nights on and off years ago and started again this Spring. Through the years, I learned a few tips and tricks that help me "function" a little bit better and I want to share them with you all! First, as soon as I get off my shift, I put my sunglasses on---rain or shine. There is nothing that can confuse your body more than seeing the sun when it's actually your bedtime. Also, if I know I'm working the night, I make sure to close the blinds in our room so that the thirty minutes or so that I wind down, shower and all that it stays fairly dark. I also try not to look at my phone before I go to bed. Usually after work I'm so tired that I don't notice it affect me that much, but if I wake up in the middle of my sleep and look at my phone I know I'm pretty much doomed and won't be able to fall back asleep. Nothing worse than running on four hours of sleep and being wide awake in the middle of the night, trust me. If I'm scheduled to work, I try to stay up super late the night before and sleep in as long as I can so I can be on a night shift schedule. After work, I usually set an alarm to wake me up with just enough time to get dressed, put on some mascara and run out the door. 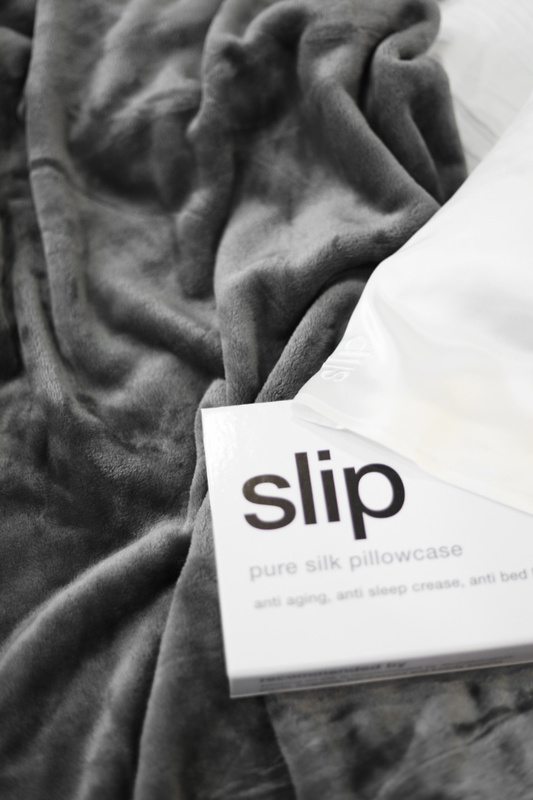 I sleep on these silk pillow cases and they make ALL the difference! They are part of the NSale, and although a little pricey, feel amazing on your face- no lines when you wake up or moisturizer wiped off my face. It also keeps my hair how it was when I fell asleep so I usually don't have to redo it before work. The less I have to do before work, the better! Once you go to these pillow cases, I assure you, you will never sleep on a normal one again. They are worth every penny! I know a ton of people that struggle falling asleep when working nights, so I hope some of those tips helped! For me, staying awake and going back to a normal schedule is more difficult. If I know I have a stretch of days off, I immediately try to get back to a normal schedule so I can be somewhat human again lol! I love the website SleepyTi.me. It can tell you what time to go to sleep if you have to wake up at a certain time, or what time to wake up if you go to sleep now. I usually use it for the latter and it gives you options of times that will wake you up when you're not in your deepest sleep that way you will feel more rested when you wake up. I usually try not to sleep more than 4-5 hours and then immediately get up and drink coffee. By then it's usually just after noon, so drinking coffee around that time won't keep me up that night and will also give me energy to get though the day. I find that if I lay around in bed on my phone I get up and am so much more tired throughout the day and feel like a zombie. Another thing I try to do on my first day off is plan something....a pedicure, a lunch date, a trip to the mall, anything. This gets my mind off of me being so exhausted and it's one of those weekly treat-yourself kind of things. If I have school work to do, I try to plan something later in the day that way I focus on getting my work done or go to a coffee shop/out of the house to get it done. Otherwise I drag it out or waste the day napping which will get my sleep all messed up. I would love to hear if any of you work/worked night shift and have any survival tips! Also, if you want to shop more from the Nordstrom Anniversary Sale home section click HERE. I had to tame myself going through it because it made me want to redecorate everything lol!